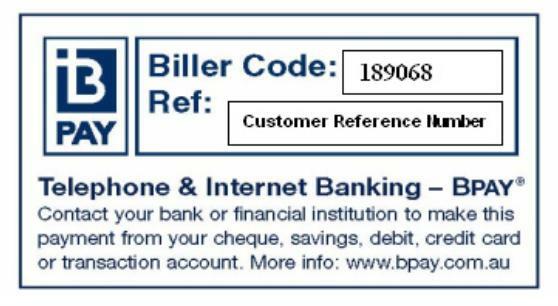 For Bpay Payment: Please phone us for your Customer Reference Number! We will supply your purchasing Customer Reference Number with your order. or use your Internet Banking facility.